The vocabulary used to describe heaters designed to be installed over doors can be very confusing. The terms air curtain, screen heater, overdoor heater etc. are bandied about and seem to mean completely different things to different people. Our main purpose here is to differentiate between two products both which have a useful but distinctly different purpose. 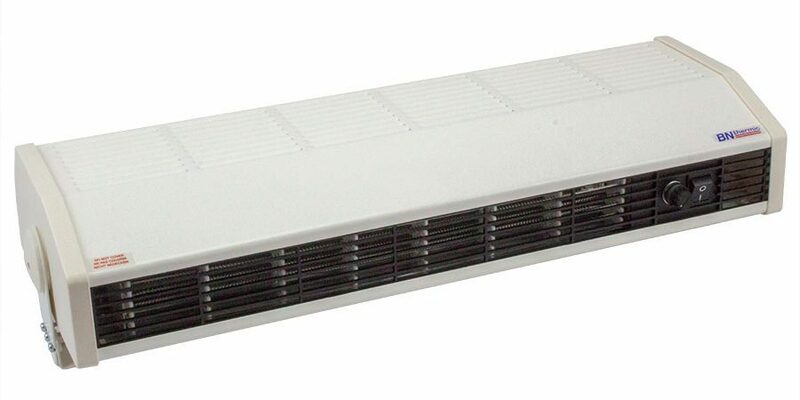 Overdoor heaters are widely used in shops and can be wall-mounted, suspended or recessed into the ceiling above standard height doors. 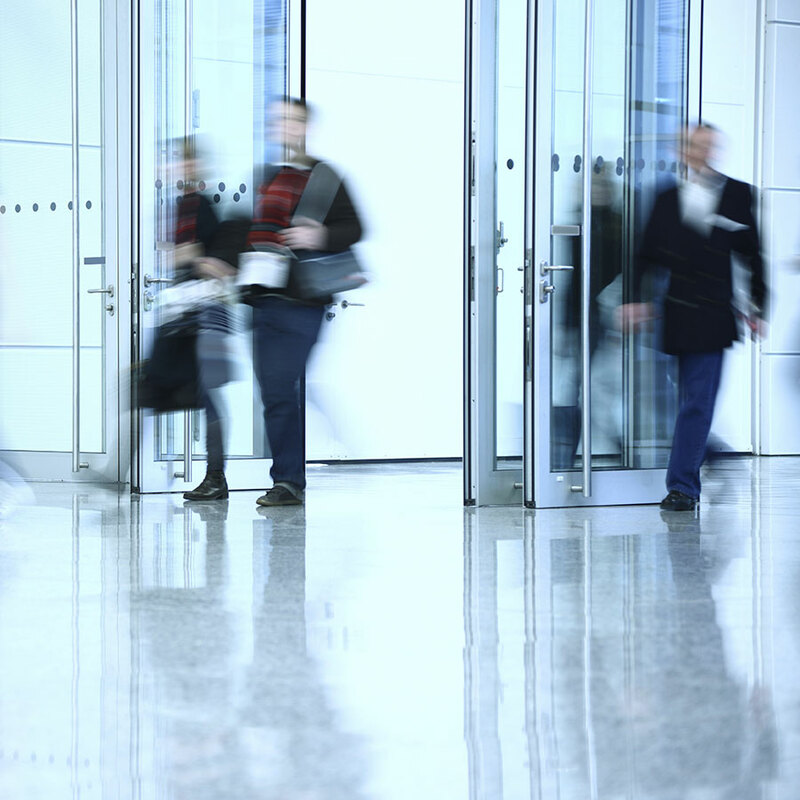 They provide a warm welcome to customers and a localised boost to the air temperature, offsetting the heat loss associated with frequently opening doors. BN Thermic’s 800 Series is ideal for this application. The 800 Series extends from a 3kW model best suited to a single door to 6kW and 9kW models for wider entrances. All 800 series heaters come with a bracket for wall-mounting and also have threaded holes for drop rod suspension where this installation method is preferred. A remote mounted control box provides on/off/high heat/low heat/fan only settings. In cooler conditions, the ‘chill factor’ associated with a high velocity air stream can be uncomfortable and therefore air curtains are usually fitted with electric heating elements which warm the airstream thereby offsetting the ‘chill factor’ and contributing to a building’s heating requirement. Please be aware that a high velocity air stream is inevitably accompanied by a noticeable noise output. This fact must be taken into account, especially if people are working in close proximity to an entrance. BN Thermic offers two ranges of air curtains. CA Commercial Air Curtains are best suited to applications such as larger shops and restaurants whilst HCA High Capacity Air Curtains are suitable for higher mounting positions and are widely used in larger commercial premises such as DIY stores, hotels etc.